The Terminal High Altitude Area Defense (THAAD) missile defense system has successfully shot down a target over Alaska, in the system's first intermediate range ballistic missile (IRBM) intercept, according to the US Missile Defense Agency (MDA). 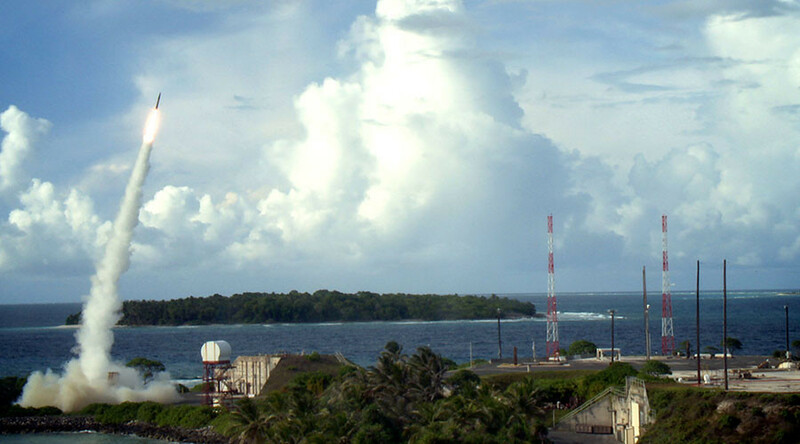 THAAD managed to shoot down the IRBM target launched from the Pacific Spaceport Complex in Kodiak, Alaska, on Tuesday, the MDA said in a statement cited by Reuters. “The successful demonstration of THAAD against an IRBM-range missile threat bolsters the country’s defensive capability against developing missile threats in North Korea and other countries around the globe and contributes to the broader strategic deterrence architecture,” the MDA said in the statement. The target was launched from an Air Force C-17 cargo plane over the Pacific Ocean north of Hawaii. “The THAAD radar first detected, acquired and tracked the target. The THAAD system then developed a fire control solution and launched an interceptor that destroyed the target's reentry vehicle with sheer force of a direct collision,” a statement from Lockheed Martin, the system's manufacturer, states. “This was the 14th successful intercept in 14 attempts for the THAAD system since 2005,” the Lockheed Martin statement says. Previous targets, however, were of different types than the latest IRBM. The THAAD system has made recent headlines following Washington's decision to deploy it to South Korea – a move which Washington and Seoul say is aimed at defending against any potential North Korean missiles. Meanwhile, North Korea has continued to conduct missile tests despite calls from the US, the United Nations, and others to halt its nuclear and ballistic missile programs. Pyongyang claims to have test-fired its first intercontinental ballistic missile (ICBM) last week, which leader Kim Jong-un called a "gift" for the "American bastards" as they celebrated the Fourth of July. The launch, which took place despite a ban from the UN Security Council, once again raised concern from the international community. However, South Korean intelligence services said earlier on Tuesday that Pyongyang is unlikely to have the technology to build ICBMs or have the testing facilities for them.